How cute are these Christmas PJs?! They're perfect for this time of year, especially to wear on Christmas Eve and Christmas Morning. You'll look adorable and be super cozy and very festive. I love how pretty PJ sets have been making a comeback in the last few years and I am a huge fan of all PJ Salvage pajamas. While I love all of my picks here, my favorite is definitely the Thermal Knit Sleep Shirt, the Christmas light pattern is just so much fun. Pick up any of these this week and you'll be good to go for Christmas! Do you like to wear festive pjs for Christmas or do you just stick to what you usually wear to sleep? Today I'm linking up with Tutu Tuesdays, Confident Twosday, Countdown to Christmas, and Style Sessions. Welcome to Tutu Tuesdays a linkup with The Blush Blonde and The Fairy Princess Diaries! Linkup whatever you'd like and make sure to do a little mingling - our goal here is to create a community of bloggers where we can all connect, find new blogs, and support one another. We love new friends, supporting other blogs, and meeting fellow girl bosses! 1. Please follow both Jordyn and me, your lovely hosts, on Instagram and/or Bloglovin. 2. Link to your specific post, not your blog's main page. 3. Grab our super cute button or share a link to Tutu Tuesdays in the post you are linking up so everyone can know about the party! 4. Have fun and mingle with other bloggers that have linked up! Like I said we want everyone to make new friends! Christmas pajamas are seriously the best! I so love pretty Christmas pajamas. I bought a cute pair of knit pajama shorts and high socks to wear Christmas morning and I'm so excited! These are so cute!! 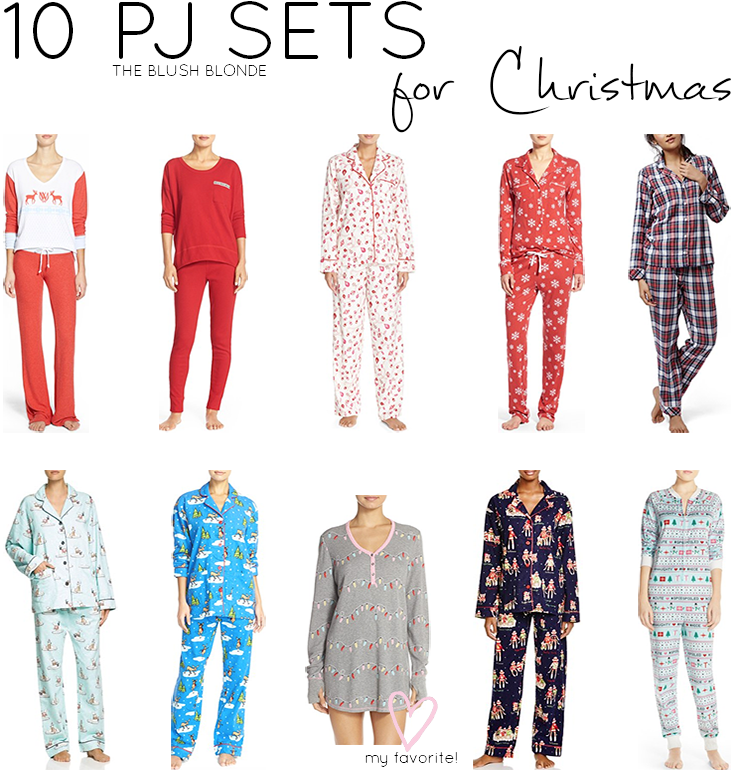 I don't do any special Christmas pajamas, but your favorite would be my favorite too!